We love and enjoy every kind of fun and therefore we would be very happy to make your wishes come true. The wedding in the air, ceremony on the ground, celebration in the air, celebration anywhere or easy Sunday morning of the wedding guests after Saturday party – whatever pops in your mind. That’s for sure. Call us and share with us your idea and let’s talk about possibilities. We are able to fly with ten passengers in the same time. What does that mean? That we are actually able to fly up to 80 guests through the day. There is always an official landing place underneath every take off. In the end of the flight, we will approach the landing sector and focus on the last phase of the landing – touching the ground again. In order to be sure that you will not hurt your ankles during the landing, we will ask you to stretch your legs and put them up to utilise the protector which is under your seat. The glider will fall behind us shortly and you can enjoy the old-new feeling of solid earth underneath your feet. 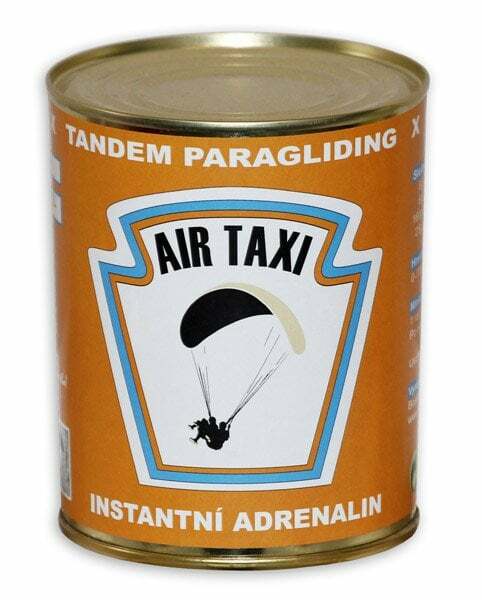 Instant adrenalin in a tin cover – that is a funny possibility to surprise your friends and relatives. The gift package of the thermal flight contains closed tin can with a T-shirt in it and the gift voucher and further instruction. There are only few places like this in Czech Republic. You can enjoy the peace and calm in pure nature. The church of Saint Anthony was found by George, the duke of Oppersdorf in 1640. Not it’s very popular pilgrim stop. Regular Sunday prayers with intimate atmosphere, pure nature of beautiful forest and the hut on Prašivá with refreshment, quality cuisine and accommodation make incredibly interesting and easy-going spot which has its soul. Do you want to have your wedding in different than usual style? 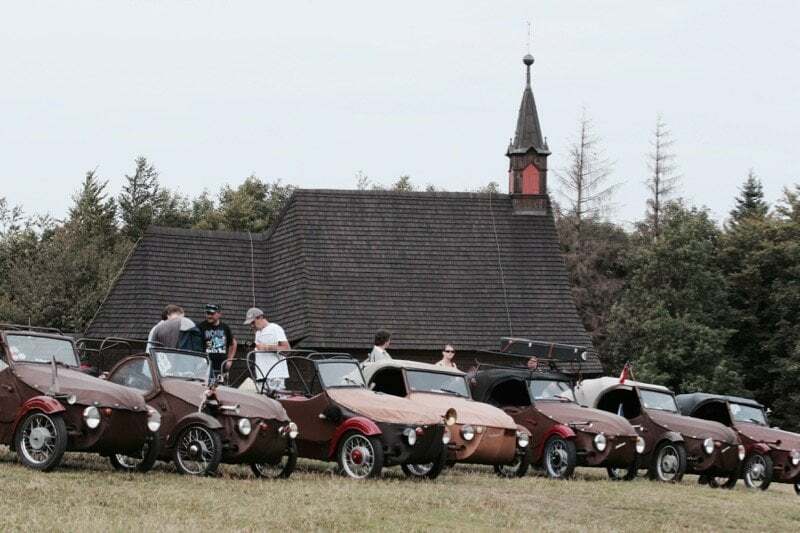 Then feel free to arrive in historic cars, have the ceremony right in the church, use the accommodation in the hut and come to fly with us! 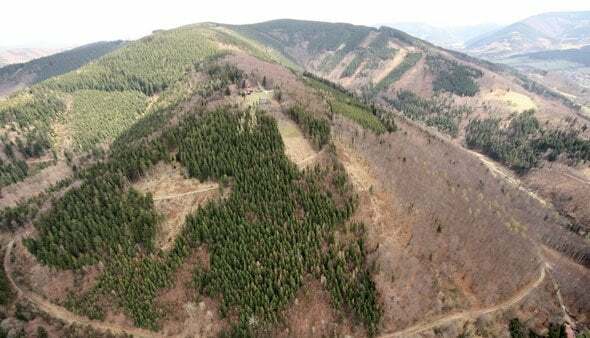 On Prašivá or on Javorový mountain or on Lysá hora – we enjoy flying with you. It depends mainly on the current weather conditions but basically 20 minutes or longer. The duration and altitude of flight depend on the difference of temperatures in various altitudes and on sun activity. That is why we invite you to do this type of flight from late March to the end of August – this period is the best for thermalling when 20 minutes is no problem and we usually reach altitude over 2000 metres. When it comes to the duration of the whole trip for this flight, be advised that it takes usually from 60 to 90 minutes. We carry out the thermal flights with the mild and mid strong wind up to 8 metres per second which of course depends mainly on specific starting site. Depending on your schedule and current weather conditions we choose those flying terrains that are appropriate to the current wind directions. for the flight itself, we recommend you to wear high trekking shoe with fix ankle, long trousers and windproof jacket. It is nice to have sunglasses when the sun is shining happily.